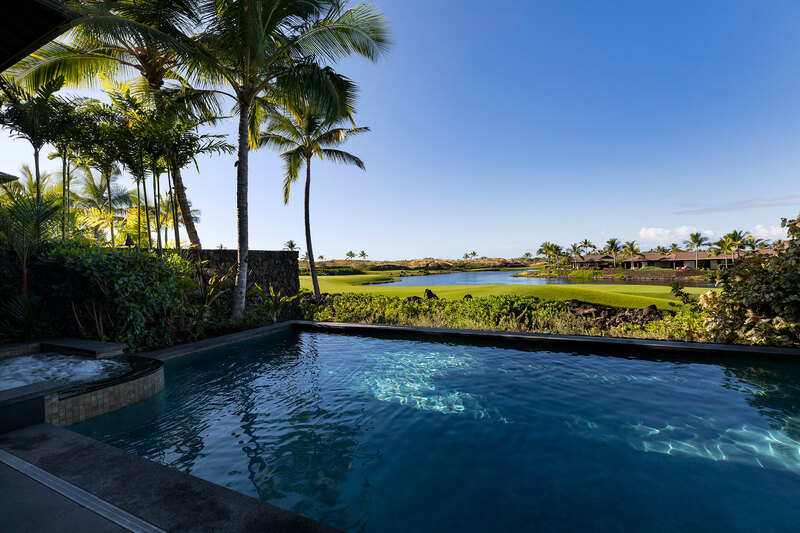 Designed by renowned architect Warren Sunnland, this 2-level residence is situated along the 7th fairway and enjoys ocean, golf course, and lake views to the west and sunrise views of Hualālai and Mauna Loa. A great room, kitchen, and master suite occupy the upper level, with a large lānai, perfect for outdoor dining. The ground level offers an additional sitting room/media room and two guest bedrooms, spacious lānai, pool and spa. *Home sold unfurnished. Packages available on request.